Google’s Consumer Insights has reported a 900%+ increase in “near me tonight/today” searches in the past two years. This incredible increase in “near me” searches shows just how important Local SEO is to the success of brick and mortar stores. Here’s a look at some of the most impressive Google search stats and how they affect a brand’s local SEO plan. Over the past two years, Google has seen impressive growth in “near me” and other local intent mobile searches. Including location clues like zip codes in search queries have dropped. Users now assume their mobile device will automatically pull location data. As improvements in technology continue to advance, so do the users, as shown in their searches. Adding “near me” to the end of a search query shows the intent of users to take immediate action on search results. Consumers are looking for places close by to solve their needs immediately. According to Think With Google, 76% of local mobile searches for something nearby result in a same-day in-store visit. 26% of those visits result in a purchase. Many brick-n-mortar stores worry about getting beat out by online retailers. However, mobile search results are showing the consumer need for immediate products and services, something online purchases can’t provide. 150%+ growth in mobile searches for “near me now”. 200%+ growth in mobile searches for “Open” + “now” + “near me”. Mobile searches related to “same-day shipping” have grown over 120% since 2015. 210% increase from 2015 – 2016 in “open now” searches. In addition to the increase of user desire for immediate results, as shown in the 900%+ increase for “near me tonight/today” searches, there has also been a significant increase in user intent to make a purchase at a local brick and mortar store. 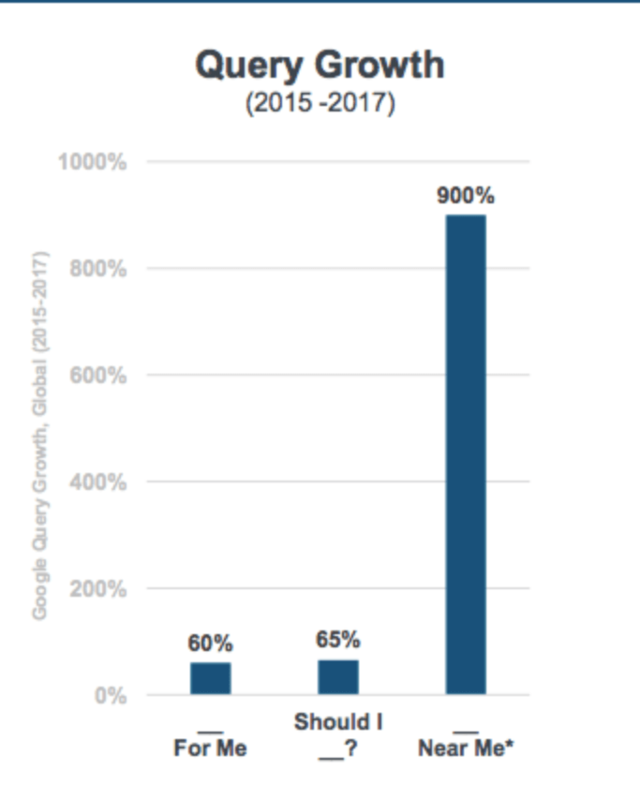 Google reported that there has been a 500% increase in “near me” searches that include a variant of “can I buy” or “to buy”. This shows that consumers are looking for places to make purchases in person. 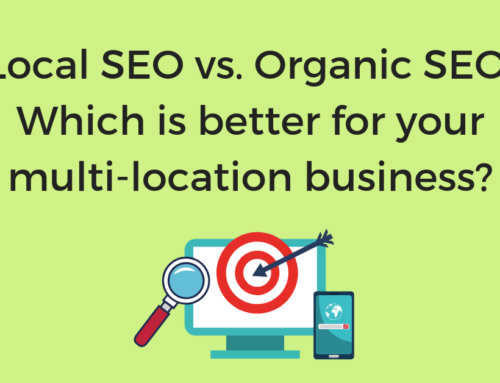 Knowing that consumers are looking for local brick-n-mortar stores for immediate purchases, it’s more important than ever that businesses have a strong local SEO strategy in place. 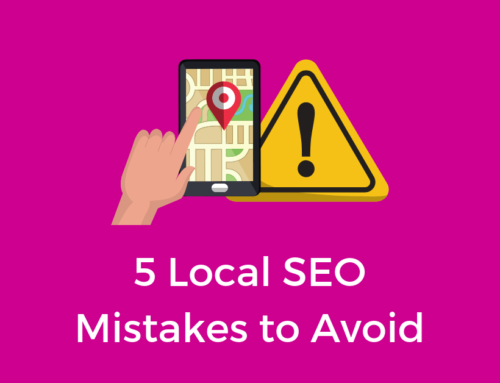 For local SEO it really comes down to 4 main categories, online business listings, reviews, social media, and of course local search rankings. Whether you have 1 or 1,000 business locations, online business listings are going to be the most important part of your local SEO strategy. It is estimated that nearly $10.3 billion worth of sales are lost every year because of wrong, missing, or incomplete local listing information. That’s why it’s necessary to claim, clean, and update your listings across every listing directory. It’s also important to stay active with your listings to ensure they get seen. Continuously add photos, update holiday hours, add posts, answer questions, and don’t forget to respond to reviews. Another vital piece to your local SEO strategy is managing your reviews. Responding to reviews is one of the best things a business can do for their online presence. By responding to negative and positive reviews, not only does it show customers you care, but it also has been shown to increase search rankings. Social media is a great way for a business to be seen. 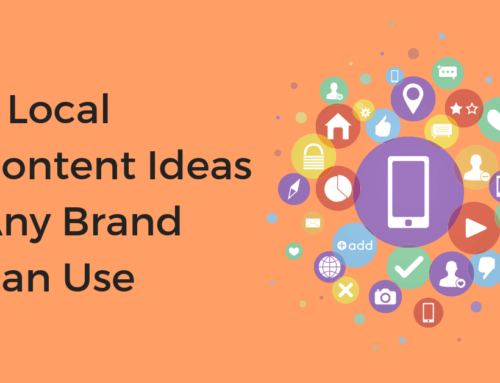 Brands with great social media presence are likely to bring in more customers. 71% of consumers who have a positive experience with a brand on social media are likely to recommend that brand to friends and family. Actively posting and engaging with customers on social media is one of the best ways to build up brand loyalty. 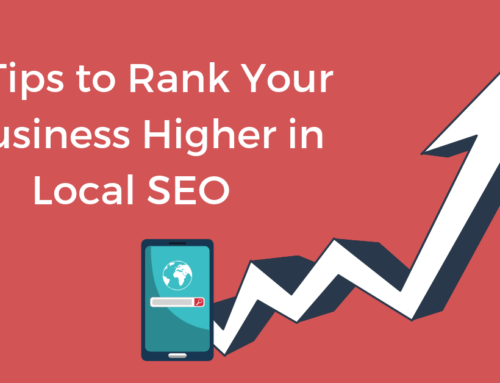 The goal of every local SEO strategy is to improve your local online business rankings. By making improvements to the three areas mentioned above, you’ll see your rankings improve in no time. When it comes to local rankings, if you’re not in the top 3, you’re not relevant. And when it comes to voice search, if you’re not in that first (speakable) position you’re out as well. Fighting for that top spot is not easy, which is why it’s so important to create and stick to a local SEO strategy. The ever growing increase in local search queries makes a local SEO strategy one of the most important aspects to a brand’s overall business strategy. 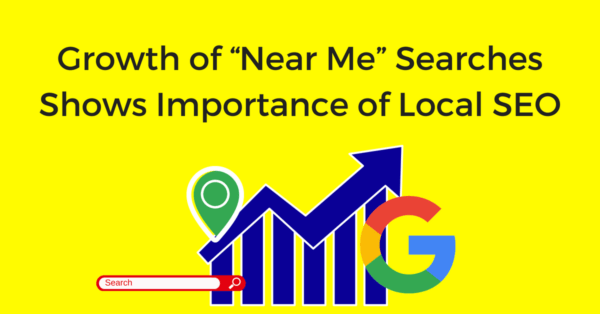 As we continue to see growth in “near me” searches with urgency such as “open now” or “today” businesses should make sure their local online visibility is in line with their customer needs. To learn how to grow your online visibility, schedule a free demo to see how Chatmeter can help.